We enjoy Sashiko. Our goal is to share this beautiful culture to the world. Atsushi Futatsuya, Keiko’s son, lives in the USA and introducing Sashiko in English. You may visit the website of “Upcycle Stitches LLC” for more information and tutorials regarding Sashiko. Atsushi also offers a live streaming sharing his Sashiko Stitching. For viewing the archives and asking questions him directly, please subscribe our Youtube Channel “Sashi.Co”. We understand there are many questions regarding Sashiko. We define Sashiko as a process of needlework, and Boro is the ultimate result of repetitive Sashiko Stitching. You will find more stories to clarify what Sashiko is and what you would like to get to start enjoying Sashiko stitching. 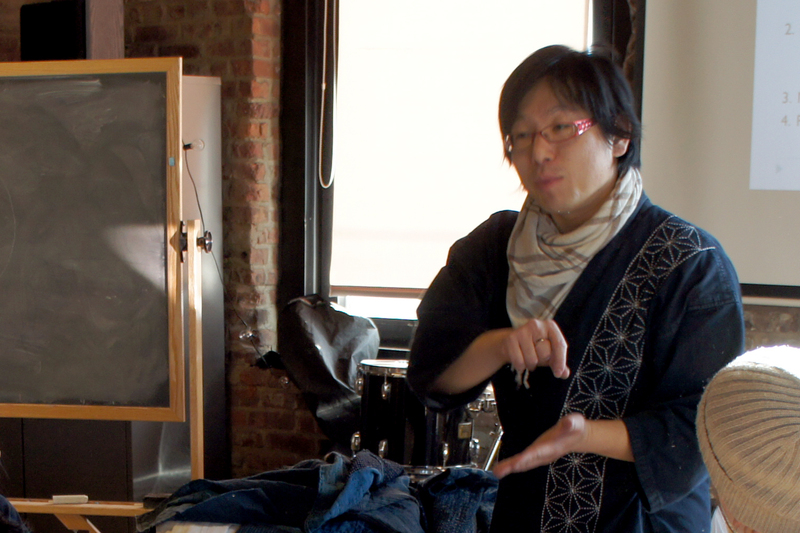 Atsushi also offers the workshop in NYC (TriBeCa Area). It is the best way to learn what Sashiko is and how to do Sashiko. Please consider to meet Atsushi and learn Sashiko from us.